Railpictures.ca - Michael Berry Photo: Work on cosmetic restoration of 4-8-4 CN 6200 continues, with a number plate on the nose now and class lights now placed. | Railpictures.ca – Canadian Railway Photography – photographie ferroviaire Canadienne. Caption: Work on cosmetic restoration of 4-8-4 CN 6200 continues, with a number plate on the nose now and class lights now placed. And jacketing on the boiler and cylinders. Much better looking that when I last saw her. A shed, please? A fence, perhaps? She’s buttoned up quite well, and the number plate is a reproduction, but vandals are senseless. 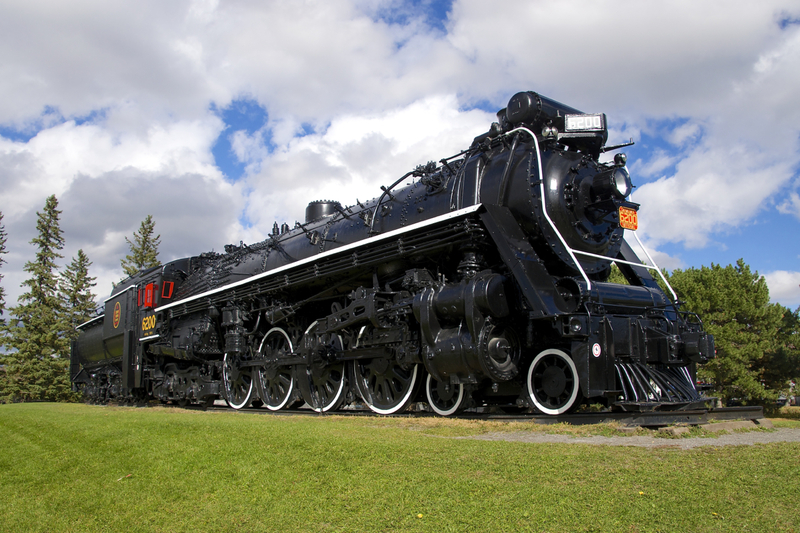 6200 will remain and icon of the museum, so long as it receives TLC.